The physical act of buying a new bottle of foundation is probably the easiest part of the process. Everything else that comes along with it is the true struggle. How do you decide what finish to get, how do you know what's long-lasting, what kind of coverage do you want, and of course, there's the age-old question of what shade do I buy? Picking out your foundation color is a feat in itself, as everyone has their own unique skintone, not only including the lightness and darkness, but also in the undertone. Have you ever put on a foundation that just looks super pink on you or gone to do your face makeup and then you realize that your skin has a noticeable yellow tint after foundation even if the shade seems to match? This is probably because you got the right shade, per se, but the undertone was off. I still struggle with choosing the right undertones (I live by reviews and if worse comes to worse, I tend to try to find neutral foundations to avoid this issue), so I reached out to my friend Hannah (from her newly rebranded blog The Cleansed Review) who is the person I run to about pretty much any makeup or skincare related question. She works at Sephora and is one of those lovely Color Artists who can assist you out on the floor, including helping you find the perfect foundation match for you. But, if you're a little shy or might not have the time to dedicate to a full-on color matching session, that's totally fine! I bugged her with a few of my questions so you'll get the advice from someone who, quite frankly, knows what they're doing a hell of a lot more than I do. How do I know which undertone I am? We're bringing up undertones, so we have to talk about which undertones exist! There are three main undertones: warm, cool, and neutral. Hannah explained to me that being a cool tone could be identified if your skin has a visible redness to it. This doesn't mean you have anything like rosacea or eczema, but just that hint of redness that is more noticeable than on someone with a more warm skintone. I personally fall somewhere in the middle. I'm Italian, so while yes, I am insanely pale now, when I was younger I didn't use to be! 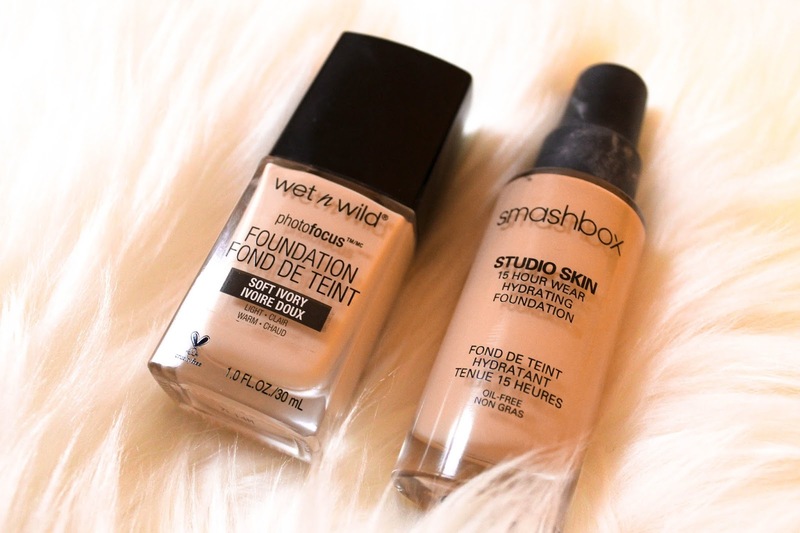 I have a faint olive tone to my skin, but for the most part, I'm pretty fair when it comes to foundations. I tend to try to stay safe and find myself a foundation in the middle because I'm not cool toned, but I'm also not warm toned either. Foundations with a lot of pink in them make my skin look weirdly dark, but if it's too yellow then it just makes me look a little sickly and jaundice. But how do you know which undertone that you are? What Hannah Says: I'd say with undertone, I can usually figure it out visually [on customers], but one way to figure it out is to consider how your skin reacts to the sun. Do you burn and then it turns into a tan? You're neutral. Do you burn then go back to your skintone? You're cool. Do you tan and stay tan? You're warm. What should I match my foundation to when I’m swatching shades in the store? The dreaded foundation swatching! Let me tell you, I'm the worst when it comes to this. Sometimes, to save time, I'll use the Foundation Matrix on Temptalia to see what other shades in foundations that I'm interested in that match the past shades I've used in other foundations that I've liked. This just gives me the chance to eliminate the long searching process and just go to the certain sections of the store that I need in order to acquire the swatch. But, where should you swatch on your skin for the most accurate color reading? What Hannah Says: I do not recommend testing on your hand or wrist. Never swatch the neck because you rarely ever get color there so it's not going to match your face that might be a different shade. I stick to the outer perimeter because I'm usually trying to not mess up someone's face and not cover them in foundation. If we're playing with NARS for example, who has a huge shade range but they can all pull yellow first, I would swatch near the jawline or up in the area near the ear. I still say that the jawline or general lower cheek area away from any contour or other face powder is best. You could try your chin too because it's lower so you could blend a wrong shade in easier. What shade of foundation do I need for my undertone? What Hannah Says: Pink or red for cool toned skin, yellow for warm, and neutral for neutral (obvs). Is it possible to find my perfect shade? Anything is possible, right? There are a lot of foundation ranges that lack in shade diversity, but there are also some that are doing great things as well (Hello Fenty, anyone?). You'll probably find more options in higher end foundations regarding skintones than in the drugstore, unfortunately (don't give up hope on drugstore foundations though, I've found some that match my neutral/warm tone pretty well!). I would always recommend getting a sample of foundations before you commit to them, especially if you have a tricky skintone or have had issues with finding foundations to match you. Take the above tips into account, especially where you should be swatching to find the most accurate color read, and exhibit a little patience and you can find something that will work for you! I asked Hannah what her favorite ranges for undertone diversity were because, well, why not hear a little more from my makeup guru? What Hannah Says: Fenty lists the undertones under every single shade and Make Up For Ever uses a Y [Yellow, for warm tones] or R [Red, for cool tones] system in their shades, like Y225 or R230. But in general? Fenty, Lancome, Too Faced are brands with the best shade range in regards to undertones. As I said, Hannah just rebranded and relaunched her blog The Cleansed Review, so if you need to know about anything skincare related, you know who to hit up. If you've ever seen me talk about skincare on my blog over the past two years, it's probably because she convinced me to buy it. Also, you can follow her on her new Instagram @thecleansedreview to see fun BTS of her beauty collection and some fun product shots of your Sephora faves. I WANT TO SEND YOU SO MANY CRYING EMOJIS RIGHT NOW!!!!!!!!!! !